We are always on the lookout for interesting barefoot or minimalist shoes. We’ve tested and ran in such barefoot offerings like Nike Free’s and Vibram Five Fingers, however, have yet to try any of the minimalist shoes from New Balance. 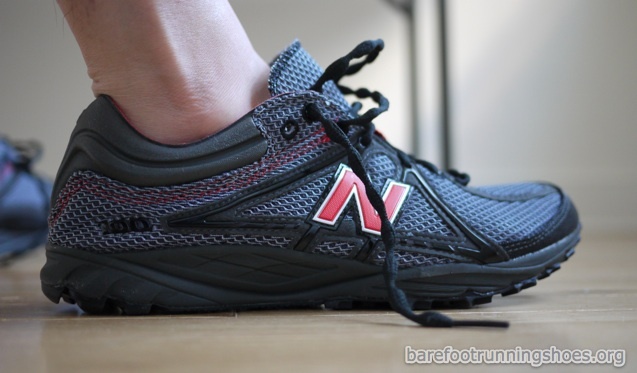 Initially we got in contact with them so we could try out their ChiRunning shoe, the New Balance MR800, but after speaking with them they suggested we should take a look at the New Balance MT100 (or for women’s version the WT100). They were even kind enough to send us a pair so we could try them out! The MT/WT100 is a trail racing flat designed for the most dedicated ultra-trail runners. The 100 features a minimalist upper construction for a comfortable, lightweight ride and fewer internal seams to help eliminate irritation. The upper is also equipped with a moisture management treatment to quickly wick away moisture. A ROCK STOP plate in the outsole shields feet from rocks and obstacles and a unique outsole lug configuration provides ideal traction and speed on trails. The SURE LACE keeps shoes tied to ensure an uninterrupted run. This is a great shoe for someone looking to go minimal on trail runs that is. The shoe is extremely light with minimal cushioning and minimal support. Good for speeding over dry, semi-technical trail. Probably not the best choice in mud or extremely rocky trails. Transitions nicely from trail to paved surfaces. I had a little pinching from the ankle collar on one foot, but adjusting the tightness of the laces fixed that problem. It’s almost like running in a slipper. It’s great if you have been reading Born to Run; and you’re toying with the idea of barefoot running and/or getting away from shoes that force your foot into a particular foot strike. In any case we were glad to see New Balance increase their offering of more barefoot inspired shoes. A few months ago they released a statement saying how they were committed to invest resources into barefoot running shoes, and it’s great to see how that wasn’t just lip service. It’s only natural to compare the MT100 to the Nike Free 5.0 (after all, both of these shoe’s offered by large established athletic shoe companies) so many of our first impressions are in comparison to the Nike Free. 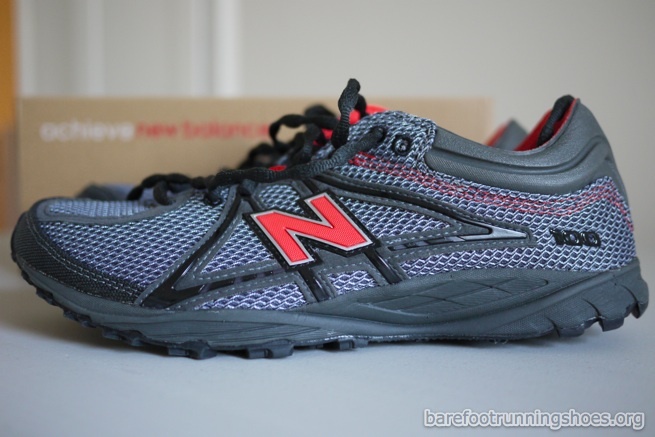 Overall, I was very pleased by the design and construction of the New Balance MT100. It seems well built and sturdy. While it might not be as flexible as the Nike Free, it does seem to be a solid barefoot offering for those who like to run off the concrete trail. Newton Running Shoe Review: Expensive, Is It Worth It?